CANTON, Mass. (January 5, 2014) – Baskin-Robbins, the world’s largest chain of ice cream specialty shops, is celebrating 70 years of innovative and delicious ice cream flavors and frozen treats by inviting guests nationwide to eat their ice cream and cake, too, with its January Flavor of the Month, Icing on the Cake®. 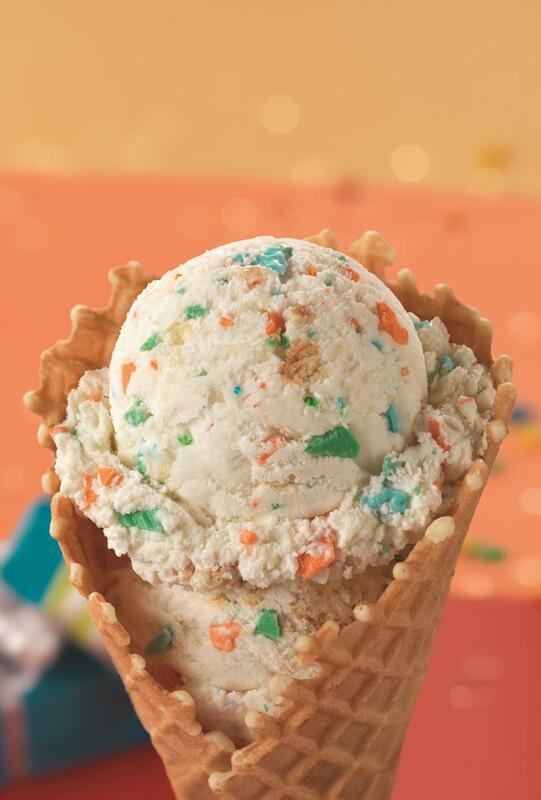 The flavor features cake-flavored ice cream with cake pieces, frosting bits and a candy confetti ribbon and can be enjoyed in a cup, cone, milkshake or two-scoop sundae. To make the kick-off of its 70th year even sweeter, Baskin-Robbins is also continuing to offer guests nationwide a free waffle cone with the purchase of any double scoop of ice cream. Peanut Butter ‘N Banana: Banana-flavored ice cream and a chunky peanut butter ribbon in honor of a member of rock ‘n roll royalty who would be turning 80 this month! Tropical Vacation Frozen Yogurt: A refreshing flavor featuring pineapple and passion fruit-flavored frozen yogurt with a passion fruit ribbon. Premium Churned Reduced-Fat, No Sugar Added Caramel Turtle Truffle: Reduced-fat, no-sugar-added vanilla-flavored ice cream packed with caramel-filled milk chocolate flavored turtles and a caramel ribbon—the perfect treat for caramel-lovers! For more information about Baskin-Robbins’ wide variety of ice cream flavors and frozen desserts, visitwww.BaskinRobbins.com or follow us on Facebook (www.facebook.com/BaskinRobbins), Twitter (www.twitter.com/BaskinRobbins) or Pinterest (www.pinterest.com/baskinrobbins31). Named the top ice cream and frozen dessert franchise in the United States by Entrepreneur magazine’s 35th annual Franchise 500® ranking, Baskin-Robbins is the world’s largest chain of ice cream specialty shops. 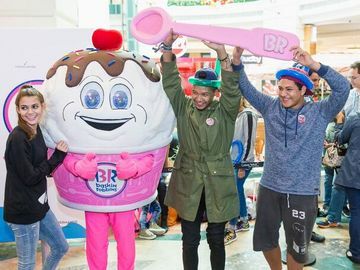 Baskin-Robbins creates and markets innovative, premium hard scoop ice cream and soft serve, custom ice cream cakes and a full range of beverages, providing quality and value to consumers at more than 7,400 retail shops in nearly 50 countries. Baskin-Robbins was founded in 1945 by two ice cream enthusiasts whose passion led to the creation of more than 1,200 ice cream flavors and a wide variety of delicious treats. 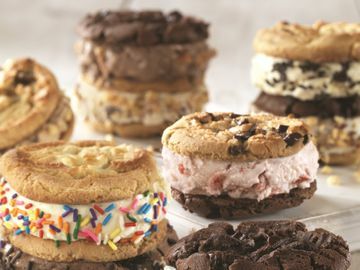 In 2013, more than 13 million ice cream cakes were sold in Baskin-Robbins shops worldwide. Headquartered in Canton, Mass., Baskin-Robbins is part of the Dunkin' Brands Group, Inc. (Nasdaq: DNKN) family of companies. For further information, visit www.BaskinRobbins.com.